It’s the generosity of my readers and fans that keeps this voice of truth and freedom speaking! You can help. Hit the DONATE button! 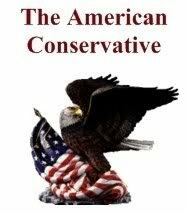 I'm a Conservative. I'm a highly opinionated blogger. If you ask for my opinion I'll let you know exactly what's on my mind. I don't play the PC game, so, be very careful what you ask for. WASHINGTON (AP) — Five Blackwater Worldwide security guards surrendered on 14 counts of manslaughter and dozens of other charges Monday in connection with an investigation into a deadly 2007 shooting at a busy Baghdad intersection. A sixth guard admitted in a plea deal to killing at least one Iraqi in the shooting, in which prosecutors say Blackwater guards used machine guns and grenade launchers on motorists and bystanders. His guilty plea, likewise, was unsealed Monday. “The government alleges in the documents unsealed today that at least 34 unarmed Iraqi civilians, including women and children, were killed or injured without justification or provocation by these Blackwater security guards,” national security prosecutor Pat Rowan said. In addition to being charged with manslaughter, the five guards also face 20 counts of attempted manslaughter. They are also charged with using a machine gun to commit a crime of violence, a charge that carries a 30-year minimum sentence. Though they are charged in a sealed indictment in Washington, they surrendered at a federal courthouse in Salt Lake City. I am NOT going to condemn the Blackwater guys, not in ANY way. It is my opinion that until the full facts of these indictments are heard, in a court of law, they are simply indictments. And once again I say, indictment does not necessarily equate to conviction. It is my opinion that Blackwater does employ some very bad guys, and I view them with the greatest respect. Blackwater guys are NOT in theater to make nice, they are NOT set decoration. They are in theater to protect their client, at ALL costs! That is their ONLY job and Blackwater USA does that job very well. Blackwater employs high speed, low drag, 1st class professional operators. Guys that are at a premium in todays market, and make no mistake about it, they are a high value item. There are only so many of them to go around. I refer to really competent, and trustworthy ones, you can find hired cannons all day, for a dime a dozen, wannabes that can’t think their way through an episode of ‘Are you Smarter than a 5th grader?’. Yeah, those guys, literally, a dime a dozen. The ones you wouldn’t them want guarding a bank in your home town. But 1st class professionals are a rare and beautiful thing, and worth their weight in gold simply because, they will keep you alive. And again I ask, how many diplomats has Blackwater lost under their watch?? Anyone?? That’s right. NONE! That is all the vindication Blackwater needs, they deliver a JOB WELL DONE! And they bring their charges back alive! I can’t speak for everyone, but to ANY man that has ever been in a combat situation, that one caveat, they bring their charges back alive, that equates to VICTORY! Now, lets see what the bleeding hearts and libbers have to say about that. And I am waiting to see if some of the Mil-Blogs jump to the defense of Blackwater the way they did for the Haditha Marines. I hope they do, Blackwater deserves that support too! Tagged With: 14 counts of manslaughter • America 1st • Blackwater Guards Indicted • Blackwater Worldwide • Dept of Justice • Iraq • Pat Rowan • The State Dept. Copyright © 2006 - 2010 TexasFred’s All Rights Reserved.